What would it take to make you happy? A fulfilling career, a big bank account, or the perfect mate? What if it didn’t take anything to make you happy? What if you could experience happiness from the inside out—no matter what’s going on in your life? In Happy for No Reason: 7 Steps to Being Happy from the Inside Out, transformational expert Marci Shimoff offers a breakthrough approach to being happy. Incorporating the latest findings in positive psychology, powerful tools and tech­niques, and moving real-life stories, this life-changing 7-step program will raise your “happiness set-point.” You don’t have to have happy genes, win the lottery, or lose twenty pounds. This book will enable you to experience more unconditional happi­ness in your life—starting today! Marci Shimoff is a celebrated transformational leader and a #1 New York Times bestselling author. 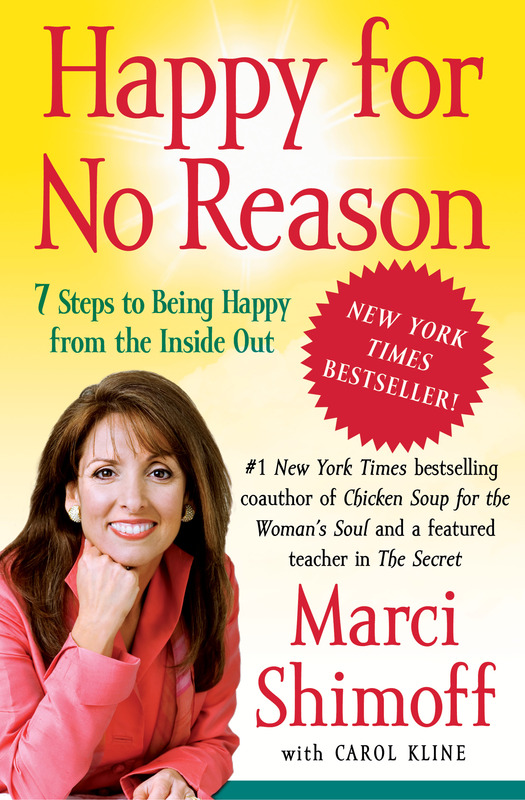 In addition to authoring the worldwide bestseller Happy for No Reason, she is the coauthor of six of the top-selling titles in the Chicken Soup for the Soul series and a featured teacher in the international movie and book sensation The Secret. President and cofounder of The Esteem Group, Marci delivers keynote addresses and seminars to corporations, women’s associations, and professional and non-profit organizations. Over the past 28 years, Marci has inspired millions of people around the world, sharing her breakthrough methods for personal fulfillment and professional success.